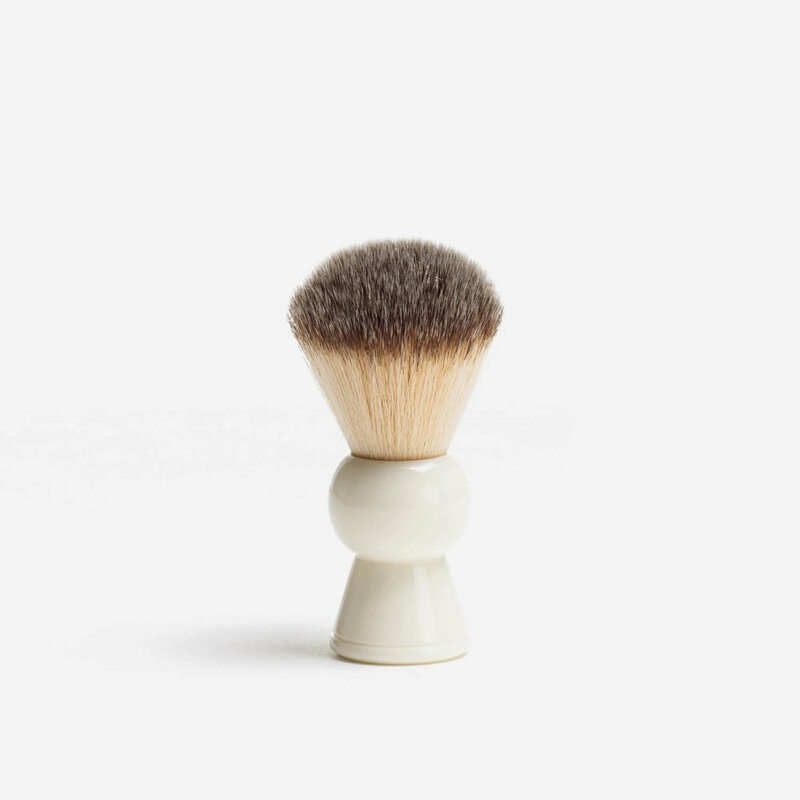 Synthetic fibre shaving brush filled with soft Plissoft fibres. 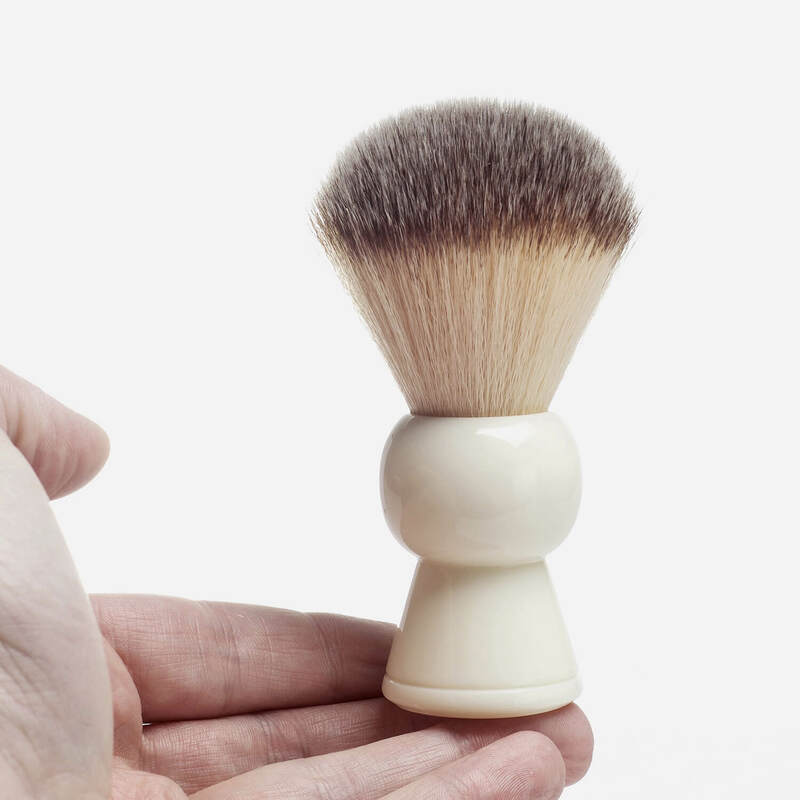 Synthetic fibre shaving brush with a ‘keyhole’ handle design. 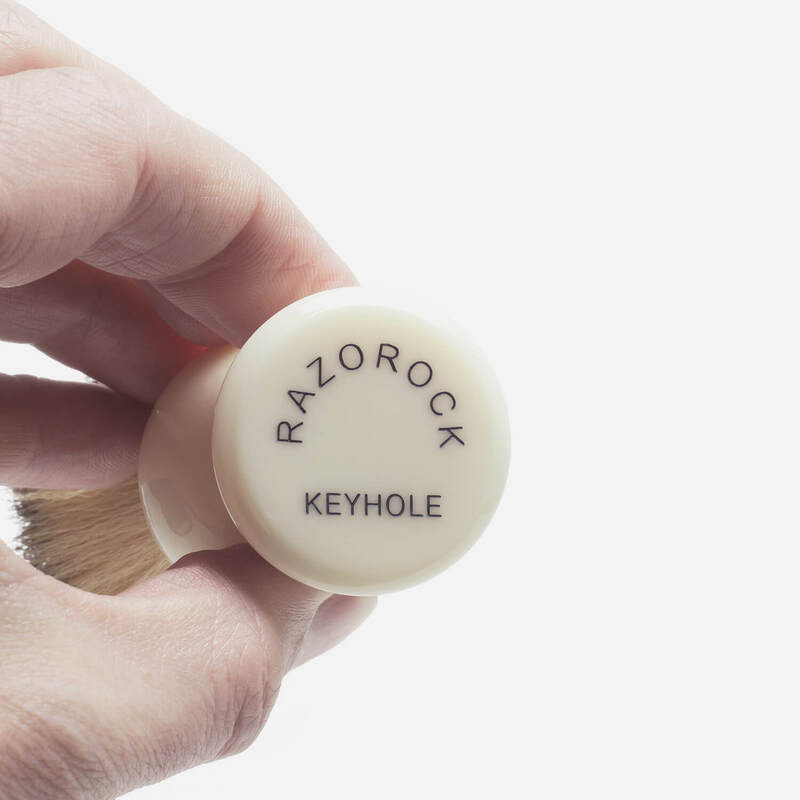 The brush is filled with RazoRock’s super-soft vegan friendly Plissoft synthetic fibres.